Will You Reduce the Risk of Dementia With a Professional Hearing Exam? Hearing and dementia — is there a connection? Not long ago, medical science did link these brain-related conditions and loss of hearing. More than one clinical study determined that even mild hearing loss left untreated increases a person’s chance of developing dementia. Scientists think there is an organic link between these two somewhat unrelated medical problems. How can loss of hearing increase your risk of dementia, though and how does a hearing exam help? The Mayo Clinic states dementia is a group of symptoms that change memory, alter the ability to think concisely and reduce socialization skills. 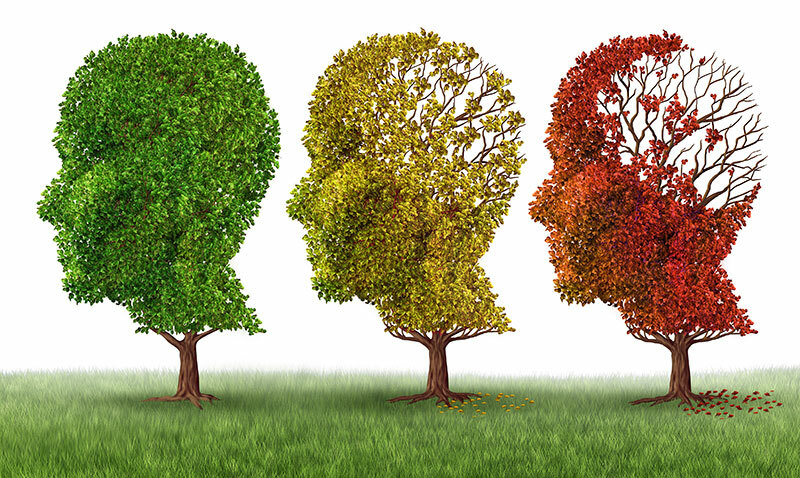 People tend to think of Alzheimer’s disease when they hear dementia probably because it is a common form. Alzheimer’s means progressive dementia that impacts around five million people in the U.S. Today, medical science has a complete understanding of how ear health alters the risk of dementias like Alzheimer’s disease. The ear mechanisms are very complex and each one matters when it comes to good hearing. Waves of sound go into the ear canal and are amplified as they travel toward the inner ear. Inside the labyrinth of the inner ear, tiny hair cells vibrate in response to the waves to send electrical impulses that the brain decodes. Over time, many people develop a gradual decline in their ability to hear due to years of trauma to these delicate hair cells. The result is a reduction in the electrical impulses to the brain that makes it harder to comprehend sound. This gradual hearing loss is sometimes considered a normal and inconsequential part of the aging process, but research indicates that’s not accurate. The brain tries to decode any messages sent by the ear even if they are garbled or unclear. That effort puts stress on the organ, making the person struggling to hear more vulnerable to dementia. The odds of developing dementia increase based on the extent of your hearing loss, too. A person with just a minor impairment has double the risk. The more advanced hearing loss means three times the risk and a person with severe, untreated loss of hearing has up to five times the risk of developing dementia. A 2013 study conducted by Johns Hopkins University monitored cognitive skills for more than 2,000 older adults over a six-year period. They discovered that hearing loss advanced enough to interfere with conversation was 24 percent more likely to cause memory and cognitive problems. Not everyone knows or appreciates how even mild hearing loss affects their health. For most, hearing loss is gradual, too, so they might not even realize there is a problem. The human brain tends to adapt as hearing declines, so it is less noticeable. Getting regular exams provides you and your doctor with the ability to assess your hearing health and see the decline if and when it happens. Some kinds of hearing loss are easy to fix, too, during an exam. The stress on the brain doesn’t change whether the hearing loss is related to aging or a buildup of earwax. The point is that the sooner a person deals with this decline, the less damage there is to the brain. For some, that means getting hearing aids. The current theory is the stress put on the brain by hearing loss is a significant factor in cognitive decline and dementia. Based on that one can conclude that hearing aids reduce the risk. They amplify sound and filter out noise that interferes with it, improving what and how you hear. That means the brain doesn’t have to work as hard to decode audio information and there is less stress. There is no rule that says individuals with normal hearing won’t develop dementia. What science believes is that hearing loss accelerates the decline in the brain, increasing the risk of cognitive problems. The key to reducing that risk is regular hearing exams to diagnose and treat gradual hearing loss before it can have an impact on brain health.